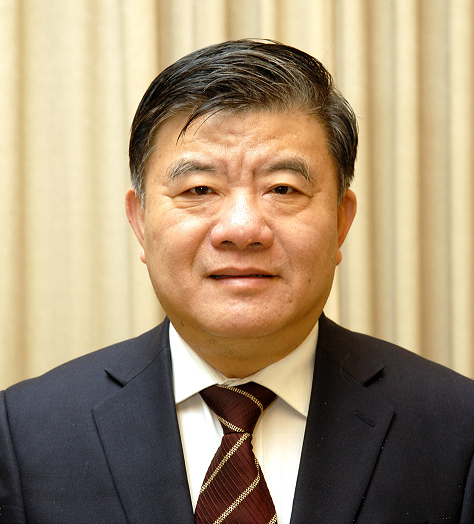 2012 Prize Co-Recipient: Zhu Chen, M.D., Ph.D. The Szent-Györgyi Prize Selection Committee recognizes Chen Zhu, Ph.D., for his innovative research, in collaboration with Zhen-Yi Wang, Ph.D., that led to the successful development of a new therapeutic approach to acute promyelocytic leukemia (APL). Prof. Zhu Chen, born in Shanghai on August 17, 1953, got his master ‘s degree at Shanghai Second Medical University (present Shanghai Jiao Tong University School of Medicine) in 1981 and doctor’s degree at University Paris VII in 1989, and presently is member of the Chinese Academy of Sciences, Foreign Associate of the National Academy of Sciences and the Institute of Medicine of US, Foreign Associate of French Academy of Sciences, Honorary Fellow of the UK Academy of Medical Science, Member the Academy of Sciences for the Developing World (TWAS), Titular Member of European Academy of Arts, Sciences and Humanities, Foreign Member of Academia Europaea, External Scientific Member of the Max Planck Institute of Molecular Genetics, Director of Chinese Human Genome Center at Shanghai (CHGC), Honorary Director of Shanghai Institute of Hematology and Director of Shanghai Center for Systems Biology at Shanghai Jiao Tong University. Prof. Zhu Chen is devoted to translational research on leukemia. He pioneered the concept of synergistic cancer targeting therapy and provided the first successful model in the treatment of acute promyelocytic leukemia (APL) with all-trans retinoic acid (ATRA) and arsenic trioxide (As2O3), which has turned this most fatal hematological malignancy to a curable disease, benefiting dozens of thousands of APL patients worldwide. The concept of synergistic targeting cancer therapy based on his translational research shed new lights on the treatment of human malignancies. In addition to his achievements in leukemia research, Prof. Chen has been playing a major role in genomic research in China. The Chinese National Human Genome Center at Shanghai (CHGC) under his direct leadership has contributed to human genome sequencing and SNP HaploMap projects, gene discovery, and identification of the gene responsible for several human diseases. Recently, led by Prof. Chen, CHGC has accomplished Schistosoma japonicum genome sequencing and revealed features of host-parasite interplay, which may pave the way for a better control and prevention of this stubborn tropical disease. Prof. Chen has published more than 300 papers on high-level internationally peer-reviewed journals, such as NATURE, NATURE GENETICS, SCIENCE, PNAS and BLOOD, with over 15,000 citations. He has achieved many important national and international awards and honors, including Cheung Kong Scholars Achievement Award from the National Ministry of Education, Second Degree Prize of National Natural Science Award from State Council in China, “Prix de l’Qise” by “La Ligue Nationale contre le Cancer” of France, Prix Etranger de l’INSERM of France, and “Officier de l’Ordre National de la Légion d’Honneur” by French government. Most recently, the American Society of Hematology (ASH) honored Dr. Chen with the 2016 Ernest Beutler Lecture and Prize for his significant research advances in the area of APL. Your ticket for the: 2012 Prize Co-Recipient: Zhu Chen, M.D., Ph.D.